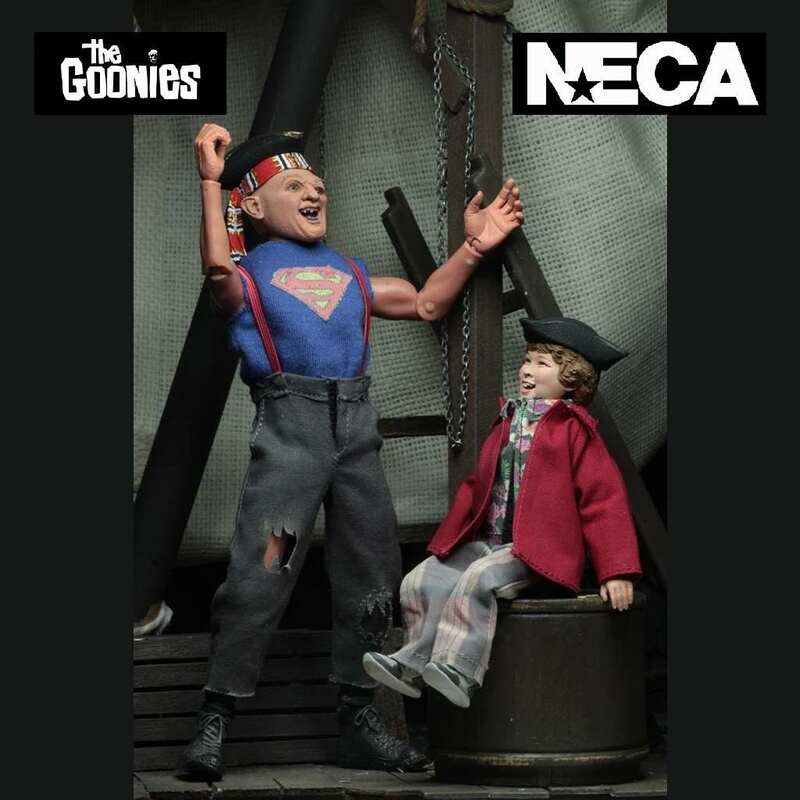 From the classic 1985 film The Goonies, we introduce Sloth and Chunk in this clothed action figure 2 pack from NECA. 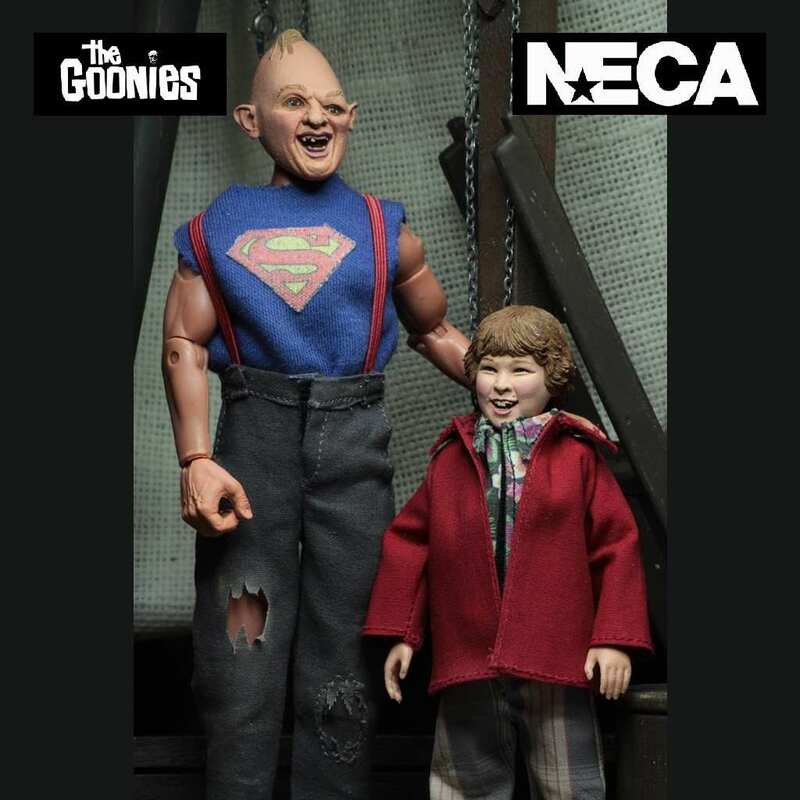 If your a fan of the cult classic 1985 Steven Spielberg movie The Goonies, then your going to love this brand new Chunk and Sloth 2 pack who now join NECA’s line of clothed action figures. 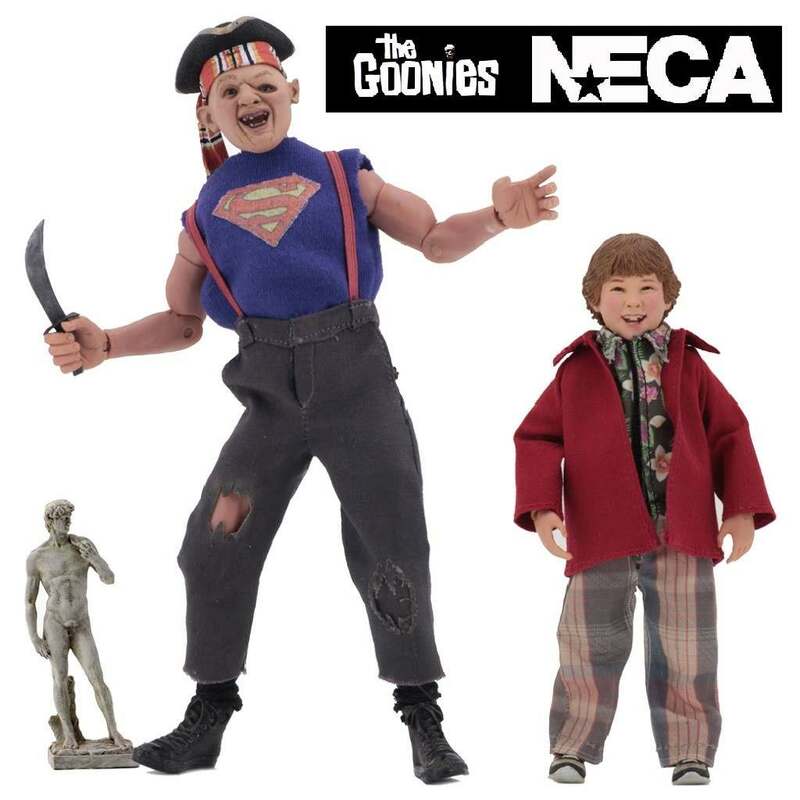 Chunk and Sloth are both fully poseable figures for maximum pirate-treasure-hunting action. 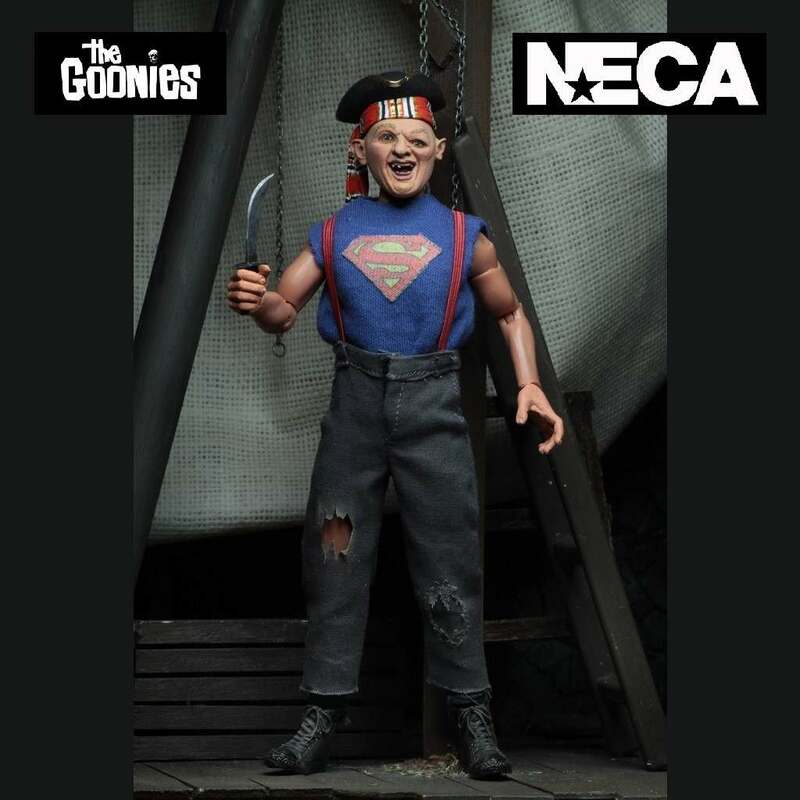 Sloth stands at approximately 8” tall and comes complete with sword and pirate hat accessories and Chunk stands at over 5” tall and comes with a pirate hat and a replica David statue that includes minor damage that Mikey’s mom will probably never notice. 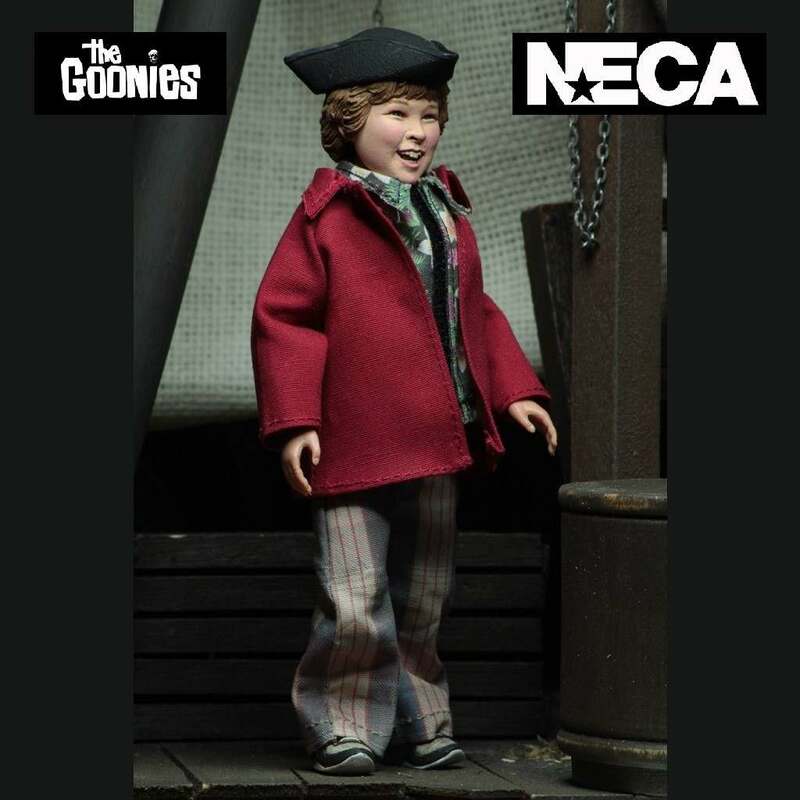 The prefect collectible pack for fans of The Goonies.